The superior optical performance of the METTLER TOLEDO UV/VIS Excellence Spectrophotometer complies with strict Pharmacopeia standards; an intuitive interface, pre-defined methods, and color measurements are all expertly bundled in one small, robust instrument. The combination of array technology and a long-life xenon light source allows for full spectrum scans within seconds and significantly reduces maintenance costs. Enjoy the flexible operation of a stand-alone instrument, or power your bench with LabX® PC software to ensure data integrity, and connect multi-parameter systems with other METTLER TOLEDO instruments. The UV5Nano is a dedicated micro-volume Spectrophotometer which performs accurate and reproducible micro-volume measurements with only 1 µL of sample. LockPath™ technology prevents the sample from drying out and allows a wide concentration range to be measured. 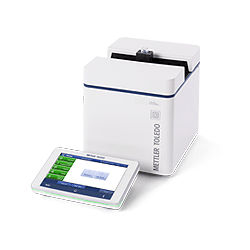 This powerful compact instrument, which focuses on life science spectroscopy applications, offers both cuvette and micro-volume measurements on the stand alone instrument, or with LabX® PC software. LabX® UV Vis PC Software adds work-flow flexibility and supports compliance with FDA regulations such as 21 CFR Pt 11. The combination of LabX® and Excellence Spectrophotometers allow for complete customization of UV Vis workstations to the workflow in the lab. The laboratory solution performs calculations, reports, and data-management, saving time for operators and lab managers, and eliminating the risk of transcription errors. UV/VIS Excellence Spectrophotometers can be used in a wide variety of industries. Strict regulations in the Pharmaceutical and Cosmetics industry are covered with the UV7 Spectrophotometer, which offers superior optical performance and together with LabX® PC software, ensures data integrity and compliance with regulations. Life Science and Biotechnology industries can benefit from the pre-defined methods of the UV5Bio and UV5Nano Spectrophotometers. Industries which require high throughput can automate their workflow and measure up to 303 samples with the InMotion Autosampler. Access our UV Vis Spectrophotometry Applications Library and benefit from our proven and well-tested application notes in UV/VIS Spectrophotometry. From simple quality control workflows to strict pharmaceutical regulations, UV/VIS Excellence has it covered. Combines two instruments in one for both micro-volume and standard 1 cm cuvette measurements for life science research. Our wide range of accessories turns your UV Vis instrument into a dedicated system to solve your application needs. With increasingly stringent performance verification regulations to adhere to, CertiRef executes USP and Ph. Eur. compliant methods automatically. 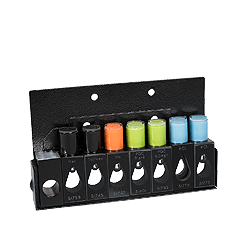 Optimize your spectroscopic workflow with our wide range of accessories. The system conforms to your expanding needs, making the UV Vis spectrophotometer a safe investment. Spectrophotometers require regular performance verification in order to monitor performance in regulated industries. METTLER TOLEDO provides an automated solution to this in the form of the CertiRef™unit, which fits neatly into your UV/VIS Excellence instrument for fast, accurate performance tests using certified reference materials. 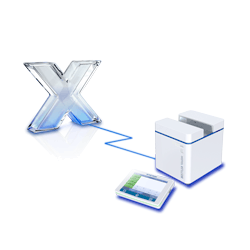 The LabX UV Vis software from METTLER TOLEDO provides secure data management and the option to create and programme your own spectroscopic methods. Remove the worry of FDA regulation compliance with fully secure and traceable records that you can trust. What is UV Vis Spectroscopy? UV/VIS Spectroscopy is a simple and commonly used technique based on the absorption of light in a given sample. Depending on the amount of light and wavelength absorbed by the sample, valuable information can be obtained, such as the concentration or purity of a sample, for example in the caffeine spectrum below. In addition, because each substance absorbs light in a different way, a unique and specific relationship exists between the substance and its UV/VIS spectrum. Spectrophotometry can then be used to identify a substance. How does a UV Vis spectrophotometer work? A UV Vis Spectrophotometer measures the intensity of light passing through a sample solution in a cuvette and compares it to the intensity of light before it passes through the sample. The main components of a UV Vis spectrophotometer are a light source, sample holder, dispersive device to separate the different wavelengths of the light, and a suitable detector, for example a photo diode detector. Why are UV Vis spectra measured? UV Vis spectra identify components present in a sample solution. More precisely, the peak position, and to some extent the spectrum profile, allows for the identification of specific compounds. Absorption peaks can be used to quantify the investigated sample. For example, the sample concentration can be calculated from the absorbance value of the peak. Based on the relationship between absorbance and sample concentration, a UV Vis Spectrophotometer is used for quantitative analytical techniques in market segments such as Biotech, Pharma, Cosmetics, Food and Beverages, Chemical and Water Testing. The spectrum may reveal specific physical properties of the sample molecules and makes it possible to calculate the extinction coefficient of the sample, calculate the melting point of proteins and nucleic acids by measuring the UV Vis spectra at different temperatures, and determine the rate of a reaction by monitoring the absorption spectra as a function of time. The position and profile of the peaks in the spectrum can give information about the microscopic environment of the sample molecules. What are the applications of a UV Vis Spectrophotometer? The fixed wavelength is the simplest application of a spectrophotometer. It is a single or multiple wavelength measurement and the result can be reported in absorbance or transmittance. The quantification or concentration determination of a substance by a UV Vis Spectrophotometer is based on the Lambert-Beer Law, which states that the absorbance of a solution is directly proportional to the concentration of the absorbing substance in the solution and the path length of the cuvette. Thus, a UV Vis Spectrophotometer can be used to determine the concentration of a sample. Spectral scanning measurements determine the absorbance or transmittance of a sample over a specified wavelength range or over the full spectrum range, typically from 190 to 1100 nm. The most common analysis afterwards is the detection of peaks and valleys. A UV Vis Spectrophotometer is often used in order to monitor the change of the concentration of either the reactant or the product by measuring the absorbance at a specific wavelength over time. These kinetic methods are often used to study enzymatic reaction rates or to determine the concentration of specific carbohydrates such as glucose, fructose or lactose. What is the difference between a scanning and an array spectrophotometer? A scanning spectrophotometer measures each wavelength separately, and therefore takes a significantly longer time. An array spectrophotometer measures the full spectrum in a short amount of time, as all wavelengths are measured by the array detector. A scanning spectrophotometer scans the spectrum with mechanically rotating elements. This can lead to errors in the wavelength reproducibility. A scanning spectroscopy instrument therefore requires a regular re-calibration to guarantee wavelength accuracy. An array spectrophotometer does not include any moving optical parts, which means performance deviations over time due to mechanical imprecisions do not occur. An array spectrophotometer does not require a closed sample compartment because it is immune to ambient light due to its optical design. In which industry segments is a UV Vis Spectrophotometer used? The UV5Bio and UV5Nano Spectrophotometers are typically used in Pharmaceutical, Life Science, Biotech, and Academia. The UV7 and UV5 Spectrophotometers are typically used in Pharma, Food&Beverage, Chemical, Cosmetic, Petro, and Academia. What is a micro-volume spectrophotometer? A micro-volume spectrophotometer performs measurements using small volumes of sample (as low as 1 microliter). Highly concentrated samples can also be measured without further dilution due to LockPath technology on the METTLER TOLEDO UV5Nano, which can set the path length at either 0.1 or 1 mm. What Life Science Applications are available on a METTLER-TOLEDO spectrophotometer? 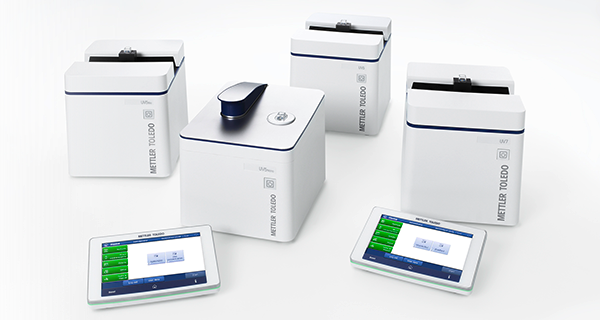 For more information on Life Science applications with METTLER TOLEDO spectrophotometers download the Life Science toolbox. How do I check that my spectrophotometer is working accurately and according to Pharmacopeia standards? 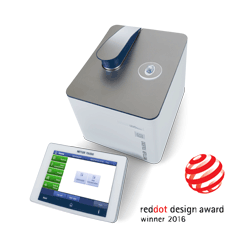 METTLER TOLEDO offer a solution to performance verification in the form of the CertiRef™ unit, which is the most efficient way to check whether your spectrophotometer is working according to pharmacopeia regulation. 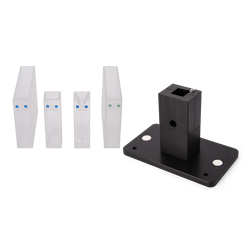 This accessory automatically performs tests for wavelength accuracy and repeatability, photometric accuracy and repeatability, resolution, stray light, photometric noise and drift, as well as baseline flatness. How does my spectrophotometer benefit from LabX® UV Vis software? METTLER TOLEDO LabX software enables users to have higher flexibility by creating custom workflows exactly for the user's needs. Calculation and transcription errors are completely avoided. It also ensures data integrity with all information safely stored in a secure database, including all performance verifications and services. With security features such as electronic signatures and user management, it assists to comply with 21 CFR part 11 regulations from the FDA.